OBJECTIVES: The aim of this study was to examine the effects of registered nurse (RN) education by determining whether nurse-sensitive patient outcomes were better in hospitals with a higher proportion of RNs with baccalaureate degrees. BACKGROUND: The Future of Nursing report recommends increasing the percentage of RNs with baccalaureate degrees from 50% to 80% by 2020. Research has linked RN education levels to hospital mortality rates but not with other nurse-sensitive outcomes. METHODS: This was a cross-sectional study that, with the use of data from 21 University HealthSystem Consortium hospitals, analyzed the association between RN education and patient outcomes (risk-adjusted patient safety and quality of care indicators), controlling for nurse staffing and hospital characteristics. RESULTS: Hospitals with a higher percentage of RNs with baccalaureate or higher degrees had lower congestive heart failure mortality, decubitus ulcers, failure to rescue, and postoperative deep vein thrombosis or pulmonary embolism and shorter length of stay. CONCLUSION: The recommendation of the Future of Nursing report to increase RN education levels is supported by these findings. The Institute of Medicine's report on the Future of Nursing1 has been followed by a campaign to implement its recommendations. The 2nd recommendation in the report focuses on increasing the proportion of registered nurses (RNs) with a baccalaureate degree to 80% by 2020. The report also recommends that educational associations, colleges, delivery organizations, governmental organizations, and funders develop the resources necessary to support this goal. These recommendations are consistent with other policy initiatives currently underway; for example, legislation requiring that nurses receive a baccalaureate degree within 10 years of initial licensure has been considered in New York, New Jersey, and Rhode Island. Barriers to increasing the overall education levels for RNs include the weakness of the evidence supporting the benefits to patient care of nurses with higher education and difficulties in financing this additional education. More resources will be needed to provide access to baccalaureate education, and health systems and policy leaders need strong evidence that investments will improve the quality of care. There is a need for further studies of RN education examining nursing-sensitive patient outcomes while controlling for other factors known to affect outcomes, such as nurse staffing and hospital and patient characteristics.19,20 This project examined the relationships of RN education with nurse-sensitive outcomes while simultaneously considering other hospital characteristics and nurse staffing levels. The hypothesis was that controlling for hospital characteristics (eg, Medicare case mix index, technology, safety-net status, patient risk factors, and nurse staffing), hospitals with higher proportions of RNs with baccalaureate degrees (BS) will have better patient outcomes. The hypothesis was tested once with nurse staffing on general adult units and once with staffing on adult intensive care units (ICUs). This cross-sectional study used data sets created by the University HealthSystem Consortium (UHC), a subset of the data used for a study reported elsewhere.19 The clinical data set contained patient diagnosis and procedure codes, actual and expected length of stay (LOS). The operational data set contained direct caregiver hours for each unit. Values for staffing and outcomes were calculated for each of the 4 calendar quarters for 2005. Data from the UHC did not contain information about nurse education; therefore, a mailed survey to CNOs obtained that information. The final sample included 21 UHC-member teaching hospitals that had contributed data to both clinical and operational data sets and from whom we had complete responses to the education survey. Data for 84 quarters were available (4 quarters from each of 21 hospitals). The study was approved by the University of California, San Francisco institutional review board. Patient outcomes included 1 measure provided by UHC, the proportion of nonobstetric adult patients with a LOS longer than the diagnosis-related group (DRG)-prescribed LOS for their diagnosis, as well as adverse outcomes computed from patient discharge data. Adverse event rates were calculated using the patient safety indicator and inpatient quality indicator software developed by the Agency for Healthcare Research and Quality (AHRQ).21 The outcome indicators were adjusted for patient risk by using the AHRQ procedures to create a ratio of observed rates of adverse events to expected rates. If the hospital's performance was as expected for their mix of patients, the value is 1.0. If a higher than expected rate of adverse outcomes exists, the value is greater 1.0, and if fewer adverse occurrences, the expected the value is less than 1.0. Indicators were calculated if there were 30 or more patients meeting the inclusion criteria in the quarter; if there were fewer cases, the value was considered unreliable and set to missing. A short list of patient outcome indicators was selected using 2 criteria: 1st, indicators that were sensitive to nursing care in past research or recommended by the National Quality Forum22; 2nd, if the indicator appeared to be stable in the data set. Patient outcomes included were mortality for congestive heart failure patients (CHF mortality), hospital-acquired pressure ulcers (HAPUs), failure to rescue (death in surgical patients who developed complications), infection due to medical care, postoperative deep vein thrombosis or pulmonary emboli (DVT/PE), and proportion of patients with LOS greater than expected for their DRG (LOS > expected). The measure of nurse education was the proportion of RNs employed at each hospital during 2005 who had a BS or higher degree. Data from the survey questionnaires were matched to the hospital by UHC. The data were merged and the hospital identities were omitted before transmitting the data set to the investigators. Given recent study findings about poorer outcomes in safety-net hospitals,19,23 the analysis controlled for hospital characteristics such as safety-net status as well as patient acuity (Medicare case mix index) and higher technology services provided. Medicare case mix index for 2005 was in the UHC data and the index for high-technology services was calculated using 2005 American Hospital Association data.24 Safety-net status was reported in the UHC data set according to the Centers for Medicare and Medicaid Services definition-hospitals receiving adjustment payments to provide care to a disproportionate share of low-income patients (http://www.hhs.gov/recovery/cms/dsh.html). The UHC operational dataset used the most informative method of measuring the amount of nursing care provided on inpatient care units: the hours of direct caregivers (RNs, licensed practical nurses [LPNs], and nursing assistants [NAs]) per patient day in each inpatient unit. Precision was further increased by capturing the worked hours exclusive of management and clinical specialist hours, counting patients on the units for observation or short stay in addition to those counted in the midnight (MN) patient census, and separating the nurse staffing according to patient's needs for ICU or general (non-ICU) care. Two nurse staffing variables were used in this study. First, the total hours of nursing care per patient day (Tot HPPD) for each unit was calculated by dividing the total hours of direct patient care from RNs, LPNs, and NAs in each quarter by the total number of adjusted patient days in the quarter on the unit. The adjusted patient days are calculated by adding, to the MN census counts, 1 day for each 24 hours of observation and short-stay patient time on the unit (ie, patients not officially admitted and staying less than 24 hours). The RN skill mix (RN mix) was calculated for each unit by dividing the RN hours by the total hours. Because the intensity of nurse staffing is much greater on ICUs, and combining both types of units would obscure the effects of the specific staffing patterns, staffing for general adult units were kept separate from those on adult ICUs. Nurse staffing data were aggregated to the hospital level to link with the rate of adverse outcomes and RN education, both of which were available only at the hospital level. Staffing levels on adult general units (including step-down units and excluding obstetric, psychiatric, rehabilitation, and skilled care) and on adult ICUs were aggregated separately in each hospital. Data analyses were performed using STATA, version 9. Because of the nesting of quarterly data in hospitals, robust regression with clustering by hospitals was used. Given the small sample (84 quarters of data from 21 hospitals), there was a high likelihood of type 2 error, and we discuss findings with statistical significance levels P < .10 as well as those at P < .05. The average size of these hospitals was 557 beds, all were teaching hospitals, and 14 were safety-net hospitals. On average, 62% of RNs working in these hospitals held a BS or higher degree, ranging from 44% to 84% (Table 1). Safety-net hospitals had lower proportions of BS nurses (57%) than non-safety-net hospitals (71%) did. Tot HPPD varied from 11.63 hours (SD, 1.55 hours) in general care units to 21.56 hours (SD, 2.80 hours) in the ICU. The RN mix on general units was 62.6% (SD, 5.54%) and on ICUs was 76.7% (SD, 6.00%). The average of the ratios of observed to expected patient outcome was below 1 (better than expected) for CHF mortality and failure to rescue and was above 1 for HAPUs, infections, and DVT/PE (Table 1). The average LOS was 5.94 days and the proportion of patients who had LOS > expected was 0.8%. To describe the relationships between RN education and patient outcomes, we 1st examined the unadjusted correlations of RN education with nurse staffing and outcomes (Table 2). Hospitals with more BS-prepared nurses also had more Tot HPPD for general units (r = 0.202, P < .10) and for ICUs (r = 0.358, P < .05). The RN mix in ICUs was lower when the BS proportion in the hospital was higher (r = -0.262, P < .05). The relationships between hospitals' RN education level and their staffing patterns underscores the need to control for staffing when assessing the effect of education. As RN education increased, patient adverse events and LOS decreased. These decreases in adverse outcomes were statistically significant (P < .05) for CHF mortality (Pearson r = -0.240), HAPUs (r = -0.500), failure to rescue (r = -0.399), DVT/PE (r = -0.289), and LOS > expected (r = -0.333). Although still in the expected direction (negative), the correlation between RN education and infection due to medical care was not statistically significant. Multivariate models, with clustering of quarterly data at the hospital level and robust standard errors, were estimated twice for each outcome, once including nurse staffing in ICUs and once including nurse staffing in general units (Table 3). All 12 models were statistically significant at the P < .10 level, and 7 of those at P < .01. Most of the negative correlations between the proportion of RNs with BS degrees and patient outcomes remained statistically significant in the multivariate analyses when adjusted for staffing and hospital characteristics (case mix index, safety-net status, and technology). Our hypotheses were supported. Specifically, hospitals that have higher proportions of BS-educated RNs had lower rates of CHF mortality, HAPUs, failure to rescue, DVT/PE, and LOS > expected. These effects are present when nurse staffing and the other hospital characteristics were included in the analyses. The variance explained (R2) ranged from 0.103 to 0.525. The least well-explained outcomes were infections due to medical care (R2 = 0.103 and 0.168 for models including nurse staffing on general units and on ICUs, respectively) and CHF mortality (R2 = 0.118 and 0.114); whereas the best explained outcomes were DVT/PE (R2 = 0.525 and 0.437); LOS > expected (R2 = 0.302 and 0.357); and HAPUs (R2 = 0.321 and 0.324). Total nurse staffing on ICUs was associated with reduced CHF mortality (P < .05), failure to rescue (P < .10), and hospital-acquired infections (P < .10). The RN mix on ICUs reduced the infections further (P < .01), but the RN mix on ICUs was associated with higher DVT/PE (P < .01). Nurse staffing on general units was not related in these analyses to patient outcomes, except for higher DVT/PE. Hospital characteristics were related to some of the outcomes as well. Hospitals with higher Medicare case mix index had lower rates of DVT/PE and LOS > expected (P < .05) and higher CHF mortality (P < .05). Availability of higher technology services was associated with higher rates of DVT/PE. Safety-net hospitals had higher rates of most adverse outcomes, but the relationships were not statistically significant in these adjusted models. This study is the 1st to find a beneficial effect for nursing education on patient outcomes other than mortality rates. Hospitals in this study with higher proportions of BS-educated RNs had lower rates of HAPUs, postoperative DVT/PE, and LOS as well as failure to rescue and CHF mortality. Furthermore, these findings held when nurse staffing and hospital characteristics were controlled. The hypotheses were supported for most of the nurse-sensitive outcomes studied, and thus, the recommendation in the Future of Nursing report1 to increase the education level of practicing nurses was supported by these results. Education of RNs did not affect hospital-acquired infections once other characteristics were controlled, whereas nurse staffing levels did. Postoperative DVT/PE was less frequent in hospitals with more BS-prepared RNs when adjusting for nurse staffing on general units. This finding is particularly interesting, although difficult to explain, because higher RN mix was associated with more cases of DVT/PE. Few previous studies used this patient outcome and more research is needed to understand this association. Patient LOS has not previously been linked with nurse education, although nurse staffing levels have been shown to decrease LOS.19,26-30 This study found that hospitals with more BS-educated RNs had fewer patients staying longer than expected for their diagnosis. The strengths of this study included specific, direct data on the education level of the nurses in the hospitals, precise measures of unit-level nurse staffing, the use of the well-developed AHRQ outcome measures, and the inclusion of hospital characteristics in the analyses. The depth and precision of the data were possible because of the availability of unique and credible information from a small sample of academic health center hospitals. Adjusting for nurse staffing, controlling for patient risk in 2 ways (observed-to-expected ratios for each outcome and overall patient severity at the hospital), and adjusting for technology and safety net status increased the robustness of the study. These large teaching hospitals represent high-complexity hospitals with higher nurse staffing levels than average,20 and they likely had sicker patients and more advanced technology than other hospitals in the United States. Two-thirds were designated as safety-net hospitals. Furthermore, these academic hospitals had a higher level of RN education (62% with BS) than average in the United States.6,12,31,32 The fact that the analyses found an effect for nurse education even when the average and even the range for the overall sample was high adds confidence to the findings. Limitations of this study include a small sample that was underpowered for the number of predictors used. To balance this risk of a type 2 error, we mention findings with a P < .10. The sample of large academic teaching hospitals in the United States limits the generalizability to all hospitals. The data for this study were from 2005 and may not fully reflect current patient outcome levels. There are also concerns about the reliability and validity of indicators developed by AHRQ; however, these quality indicators continue to be widely used because there are few alternatives. Further work is needed to improve quality and safety measures and to link them with hospitals and nursing characteristics. This study adds to the growing body of research supporting a move toward BS education for RNs. The findings are consistent with previous work examining mortality rates and add new findings with outcomes other than mortality rates. Therefore, policy makers, educators, and administrators have a stronger evidence base on which to make their decisions regarding the encouragement and funding for nurses' higher education. 27. Frith KH, Anderson EJ, Caspers B. Effects of nurse staffing on hospital-acquired conditions and length of stay in community hospitals. Qual Manag Health Care. 2010; 19: 147-155. 28. 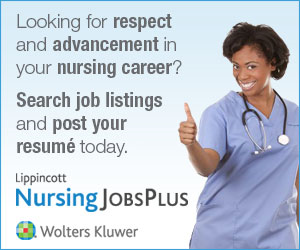 Needleman J, Buerhaus P, Mattke S. Nurse-staffing levels and the quality of care in hospitals. New Engl J Med. 2002; 346: 1715-1722. 29. O'Brien-Pallas L, Li MX, Wang S. Evaluation of a patient care delivery model: system outcomes in acute cardiac care. Can J Nurs Res. 2010; 42: 98-120.